Oh my word, every proper lady simply must have a fan! Whether you're going to the spring cotillion ball or you're having a lemonade on the porch, a fan is an essential accessory for a southern belle. 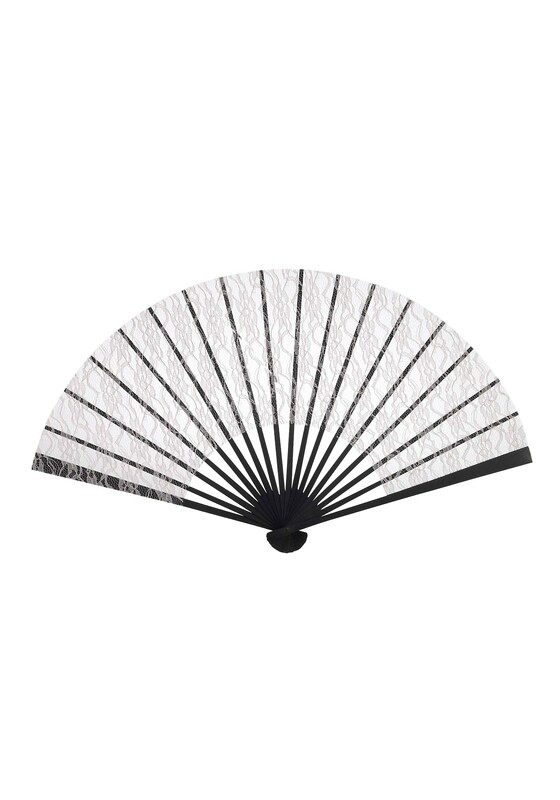 The shear lace of this fan is perfect to peer over demurely or to hide what you're saying as you whisper some juicy gossip about the new sheriff in town. You'll be glad to have this fan when you hear overly titillating news of scandal and you're fighting off a fainting spell. Try fluttering your fan furiously to announce your anger with saying a word. Once folded up, this accessory works wonders to get your voice across as you point and gesticulate with the fan. Whether you are a southern belle or a cantina senorita, you'll find this fan provides the air of drama you're looking for.